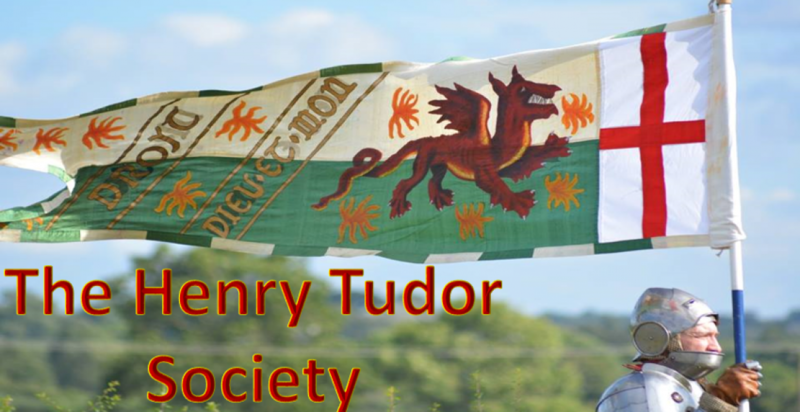 The Henry Tudor Society was founded in early 2013 and exists to discuss, debate and deliberate the life and times of Henry VII, the first Tudor king of England. The Society also seeks to examine the general 15th Century period and the Wars of the Roses. Why do we need a Henry Tudor Society? Henry VII ruled England, Wales and Ireland from 22 August 1485 to 21 April 1509, an eventful reign of 24 years that enabled the kingdom to emerge from the fractious Wars of the Roses and into the adventurous and prosperous Renaissance period. His reign has often been overshadowed as it was a tenure flanked by the controversial Richard III and notorious Henry VIII, two kings who tend to dominate the attentions of historians and fiction authors. With the rise of the internet, social media and a number of publications of poor academic quality, historical figures have become more accessible than ever, causing the truth to occasionally become distorted and inaccurate. It is abundantly clear that Henry VII is a monarch respected by academics and students of history, but misunderstood by the general public, their knowledge developed through historical fiction and myth rather than sound fact. He is a king often accused of being parsimonious, miserly, ruthless, severe and avaricious to the extreme, cold to his wife and cruel to friend and foe alike. The study of Henry’s life, from his beginnings through to the exile, and from his early reign to the tragic end, put forward a different man. It is this man, the real Henry, not the mythical Henry, that we aim to bring to the fore. A man who had an astounding tenacity to survive, to cling to his throne and to pass his crown to his son in a peaceful manner, something which eluded several monarchs before him. Regrettably, Henry VII was overlooked by William Shakespeare, meaning that whilst he wasn’t demonised to the levels seen of Richard III, he has become somewhat misunderstood and overlooked. We will aim to being this mighty, if enigmatic, king out of the shadows once and for all. Please feel free to browse our website using the various categories on the sidebars. If you wish to contact us then please do so, either by emailing henrytudorsociety@gmail.com or via our burgeoning community on Facebook. I have at last found the exact place in Pembrokeshire where Henry landed in August 1485, Mill bay is located at the south east tip of St Anne’s head west of Milford haven. But i now understand that there is some debate as to the exact location of the Battle of Bosworth, Archaeologist Dr Glenn Foard now claims that the site of the battle is not Ambion hill but on flat ground a mile south west of the site regarded as the traditional site of the battle in 1485. We know that Richard arrived first and with a slightly larger army, medieval tactics would have seen Richard choosing favourable ground and high ground would have been to his advantage [Ambion hill] or was it confidence that with his larger army Richard’s choice was flat ground to envelope and destroy this usurper Richmond ? But as we know it was the Stanleys who would dictate the outcome ! I would appreciate your thoughts on the matter. Thank you. I am not sure about that.I have a theory that Jasper Tudor with a small elite force of pikemen, halberdiers, archers, crossbowmen, and other men at arms stopped the great charge of Richard III who almost got to Henry. This critical stop enabled the Stanleys to intervene as they were about 3km from the battle site.Richard killed Henry’s standard bearer and unhorsed Sir John Cheyne. But Jasper surrounded Henry with these elite fighters who actually made the critical difference even though the Stanleys took the credit and did contribute to the victory. I have written a novel about the lives of Richard and Henry as they converge on Redemore field. I can attach it to an email if you wish. I know exactly the site of the battle. The novel is also on my website. Thank you very much for the reply, and yes i would like what ever information you can attach to an email, and also a link to your website would be appreciated. Thank you John, I shall be in touch if anymore questions arise, now I look forward to a good read. Your comments are very interesting. Thank you!!! I am Helen Clair Wallace from Fairhope, Alabama. I’ve traced my ancestry back to my 14th Grandfather, Oliver St. John from Bletsoe, Bedfordshire, England. time. They had 7 children. Sadly, Oliver St.John, was killed in the 100 Years War in Rouen, France. Ironically enough, there would never have been a Henry Tudor, if Oliver not died in the French War. His death, made Margaret Beauchamp a widow, who went on to marry John Beaufort, the 1st Duke of Somerset. They had one daughter, Margaret Beaufort, who at 13 years old, married Edmund Tudor of Wales. 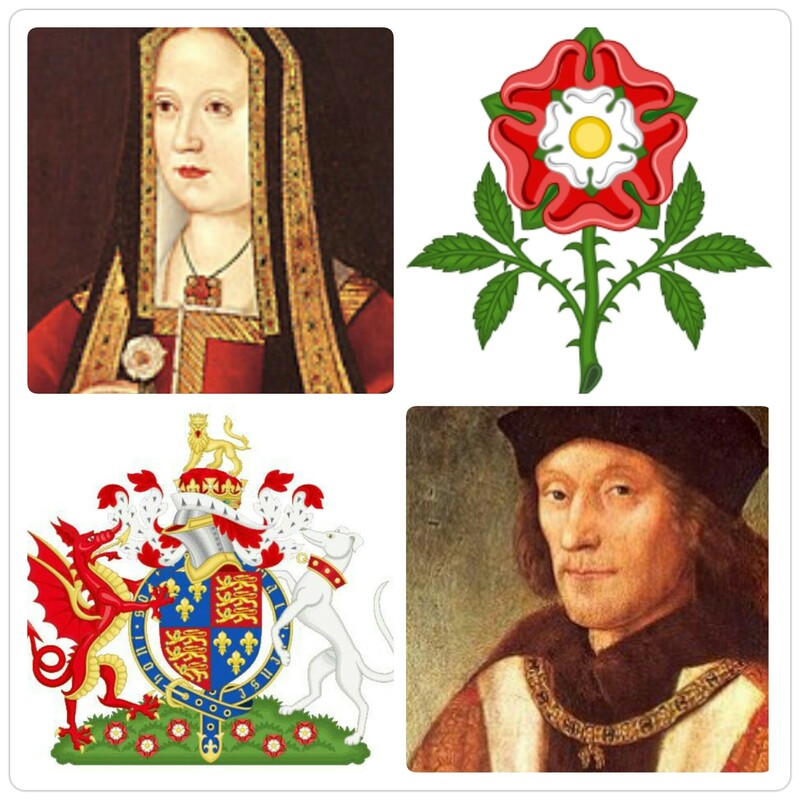 They had one child, Henry Tudor, who became Henry VII of England. Consequently, Margaret Beaufort would be my cousin, on my maternal side. I have had the pleasure of meeting my 14th cousins in Bletsoe, Bedfordshire, England. Feel free to be in touch. I love your new Header image and blog background. A superficial observation, I know, compared to some of the other comments on this page, but there it is. I’m amazed at how clever Henry VII was and how quick he was to stamp out resistance. He was almost the opposite of Henry VI.